A decade ago today, the Labour government’s Climate Change Act gained Royal Assent. It was ground-breaking, legally committing Britain to carbon reduction, and showed leadership. Since then we’ve seen progress, but much more is needed. Britain is not set to meet carbon targets from 2023 onwards, which sharpens the need for renewed leadership and action today. Time is running out. In October, the Intergovernmental Panel on Climate Change warned rapid, far-reaching and unprecedented changes is needed with just 12 years before we hit the critical 1.5°C temperature rise. The impact of 1°C is already apparent. The Met Office warns changes to our weather are unprecedented. We’ve seen fires in the Arctic. The economic and social costs of climate change are the greatest we’ve faced, including the destruction of agricultural land, water supplies, productive capacity and biodiversity, as well as major cities from Rio and Shanghai to Miami going underwater. Despite the consequences, wrong decisions are taken. Conservative ministers astonishingly enacted rules to enable fracking, which scars the landscape, threatens water pollution and earthquakes and prioritises harmful fossil fuels. But climate action must not simply be a matter of obligation. There is a compelling positive case for ambitious environmentalism. Achieving net zero carbon and advancing the natural environment means meeting carbon goals and bringing significant benefits. 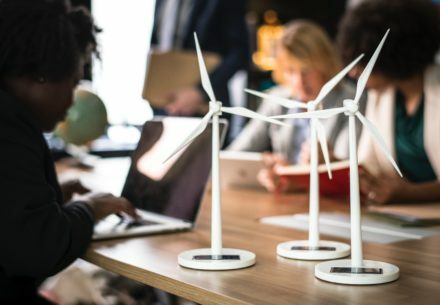 A comprehensive, rapid, green economic and social programme; let’s call it a ‘Greensian stimulus’, offers a positive future: lower utility bills, affordable-to-run homes, cheaper travel, more mobility, improved health, saved lives, economic resilience, innovative new industries, skilled well-paid jobs and community investment. Some say we can’t afford environmental change but increasingly we can’t afford not to. An economic programme can only be credible and strong if it’s environmental too. Labour’s programme heads in this direction, including committing to net zero carbon by 2050, 60% low carbon energy by 2030, community energy, retrofitting homes, a green growth industrial strategy and Clean Air Act. A green transformation can be secured. When the Climate Change Act was passed, 5% of electricity was from renewables. Despite Conservative barriers, it’s now 32%. Coal was 36%, it’s now 1.6%. Wind overtook nuclear for the first three months of 2018 and a windy day produced 37% of electricity. Wind is Britain’s cheapest form of energy and is set to be cheaper still. If support for onshore wind was reintroduced the capacity growth would cut another £1.6bn off the collective electricity bill. Yet, the government blocks onshore wind, growth in solar is falling and the Swansea tidal lagoon was axed. Wind and solar bring energy surpluses, enabling hydrogen production. Hydrogen can be easily stored and heat homes and power transport, producing no emissions just pure water. Hydrogen trains run in Germany; they should in Britain. Scotland wants ferries to go hydrogen. Shipping could too. Hydrogen cars have been developed and buses operate in London. There’s an electric vehicle revolution taking shape too, including bikes. Cheaper and clean transport and energy combined with data and new manufacturing techniques are changing how, what and where we produce, and move goods and provide services. Clean energy and transport saves lives, curbing the dirty air that causes 40,000 premature deaths a year. The energy transformation can change control of resources with ownership by communities. Producing our own renewables ends fuelling petrodollar regimes while our aid budget can assist communities in poorer countries to develop their own energy assets. Britain’s housing crisis demands 300,000 new homes a year. If they were net zero, a requirement in Santa Monica, California, they’d be cheaper to live in. Retrofitting existing housing can also bring similar benefits. Green fizzes with innovation and creates opportunities for export and skilled, well-paid jobs. Green can be embraced by unions. Jobs will change but also created. In America, clean energy is among the fastest job growing sectors, and with double the jobs of fossil fuels. Ambitious environmentalism means a renewal for nature. Labour created the national parks and brought access to the countryside. Let’s now demand a sustainable, biodiverse countryside and access for all to quality, green spaces in urban areas. A boon for nature is for us too. As Mind champions, green space improves mental wellbeing, while parks save the NHS £111m a year and generate £34bn of health benefits. Planting millions of trees cleans the air, reduces carbon, preserves the soil and increases wellbeing and beauty. Marine protection areas could bring a blue lifeline to our shores. With a huge public response to harm from plastics, let’s seek zero waste manufacturing and phase out single use plastics now, not simply consult. Let’s innovate as an Indonesian inventor has, creating biodegradable seaweed packaging. And why are ministers waiting until 2040 to end petrol car sales? More rapid change brings benefits earlier. Spain and Denmark have agreed net carbon by 2050. Britain must too. Why is there no at scale programme for community organisations to benefit from local energy generation. Exempting solar roofs from business rates would spur take-up. Why aren’t we rewriting rules to reward activities that support our future not destroy it? We can green the Treasury, a carbon budget for each department and the Green Book appraisal of policies living up to its name, fully factoring climate impacts. A comprehensive programme across business, government, devolved nations and localities, matched by investment, action and legislation, can quicken and scale the green transformation; and should begin in poorest areas first. We should celebrate the decade of the Climate Change Act today but also commit to an ambitious future and lead again. Let’s make this Labour’s ‘big idea’. A radical green economy – zero carbon energy, transport, housing, business and country – enabling us to be healthier, wealthier, resilient, cooperative, mobile, dynamic, innovative, contented, respected and generous. Zero can be our hero. Jake Sumner is co-chair of SERA and a former Labour adviser. SERA: Labour’s Environment Campaign is hosting a 10th Anniversary Climate Change event on the evening of Monday 26th November with a speech by former Labour leader Ed Miliband.